Hi and welcome to AlmazanKitchen! 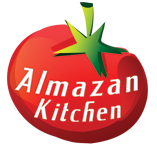 AlmazanKitchen is also known for making dishes and using cooking techniques and ingredients you never thought you can use before! Today is the day for some burgers. Hi and welcome to AlmazanKitchen! Sometimes even we want to take a break from meat. That’s why everyone have to know how to make fast and awesome vegetarian salad! Hi and welcome to AlmazanKitchen! What is the best thing for hot summer days? Coca Cola? No, friends! It’s a great and nourishing sweet & sour chicken stir-fry.